Sliding door operators are typically used on the outside doors of large retail businesses. 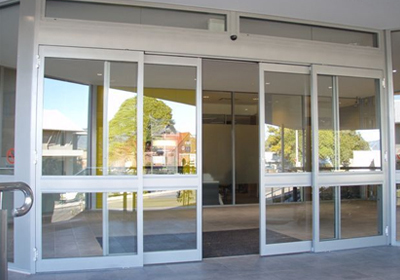 No matter what type of door you have, we have a system that we can supply to make it safe and automatic. You and your customers will be happy to have this installed. Apartment complexes, retail businesses, or commercial businesses… we do it all.